One-time cleaning fee of $100 for one pet or $125 for two pets. Maximum weight 30 lbs. per pet. Supplied: bed, bowl and treat. Some restrictions apply so please notify hotel in advance if bringing a pet. 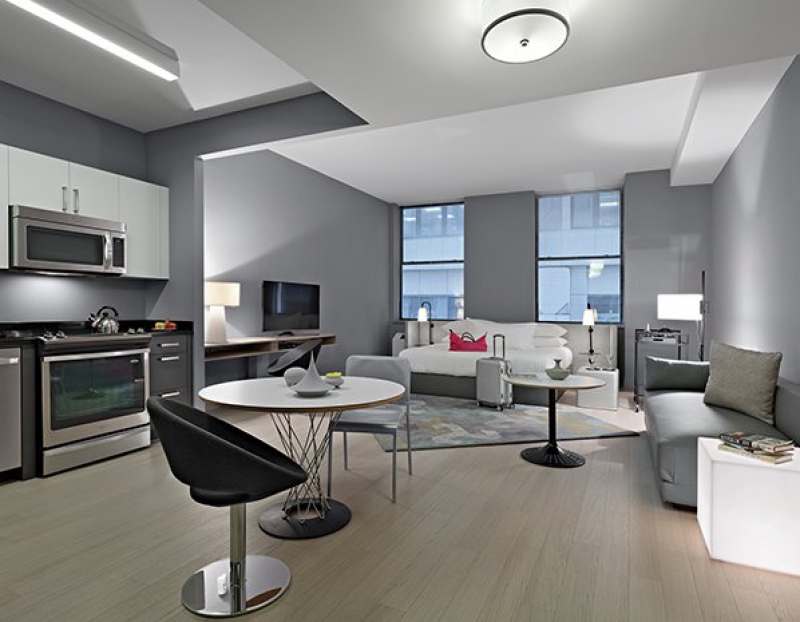 Located at the intersection of Pine & Pearl Streets,in the heart of New York’s Financial District in Downtown Manhattan, the hotel is only steps away from Wall Street and within walking distance of the South Street Seaport (off leash dog park), or beautiful Battery Park (with a choice of dog runs). The 9/11 Memorial is less than a 10-minute walk. 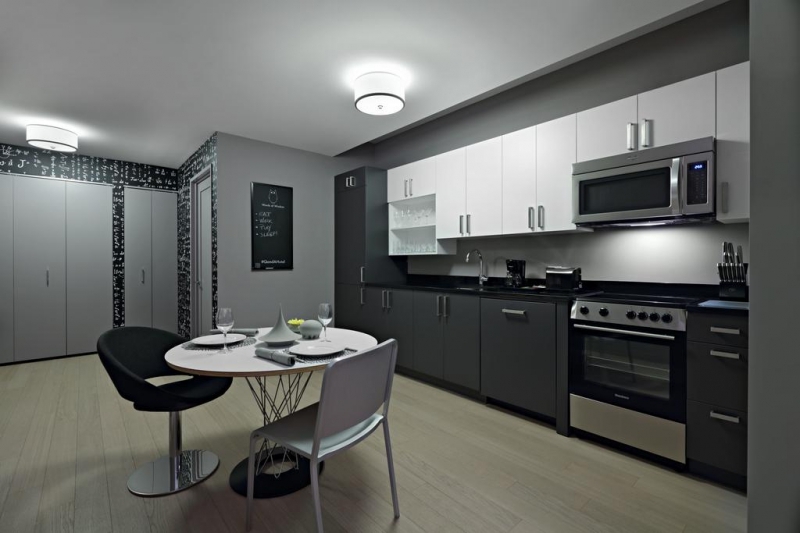 132 spacious apartments with full-sized kitchens. Daily housekeeping included. Self-service laundry and same-day valet dry cleaning and laundry delivery are also available. City Acres Market organic grocery store and gourmet food hall, located on bottom 2 floors with large range of organic groceries and gourmet prepared foods. 7:00am to midnight daily. Black Fox Coffee Company (inhouse). Rooftop club and restaurant (opening 2018). 24-hour Business Center: computers, printers, free WiFi, UPS, FedEx & other messenger / package delivery services. Fitness & Wellness Center LA PALESTRA. Personal trainers and wellness specialists available. Self-service laundry and same-day valet dry cleaning and laundry delivery are also available.